Ford India has revealed all the technical specifications of EcoSport India variant. 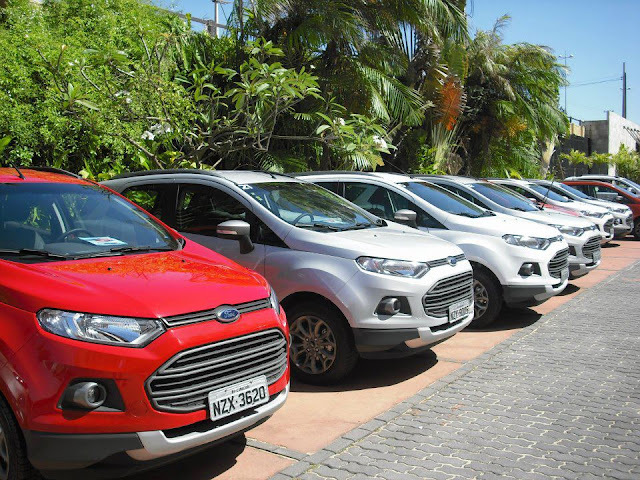 The American carmaker has just flagged off the media drive in Goa and the first bunch of automotive journalists have revealed all the technical specifications of EcoSport and here we bring the information to you. Ford EcoSport, as we all know will be equipped with 3 engine variants and 4 different trim levels. The 1.5L Gasoline engine, 1.0L Gasoline engine and 1.5L Diesel engine.